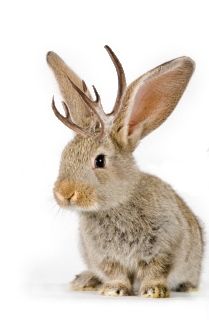 I love Canada and soon it will be Jackalope time in Montreal – August 19- 21st. Jackalope is just one of the many events that World Cup Skateboarding organizes. Below is my interview with Don Bostick President of World Cup Skateboarding since 1993. SF: I’ve heard people say skateboarding is a fad – goes up & down in popularity. Is that what you’ve seen in the last 20 plus years? And if so why does that happen? Don: Back in the early days and I mean the early days of the 60’s when I started skateboarding, it was often referred to as a fad. It appeared and disappeared as most fads do overnight. However, for the past 40 years, skateboarding has enjoyed good and bad times in a roller coaster type of fashion. About every 10 years, things are good with companies thriving and the number of skateboarders go up. Then for different reasons, business slows down and the number of skaters fall off. Basically, kids grow up and discover girls, driving owning a car and getting a job, etc. – life changes.. However, the big difference in the last 10 years is the number of returning skaters! Check out the skateparks and it’s become a family thing now. So many dads and moms are skating with their kids; boys and girls. The other difference is the influence of long boarding, cruising and just skating for transportation. Because of all the TV exposure skateboarding has received in the past 20 years via the X Games, Gravity Games, Dew Tour, Street League, MTV Sports Festival, Vans Triple Crown, and more, new skaters have been drawn into skating that might not have been by just the skate media, etc. Then add in social media, skating is everywhere world wide! SF: Overall do you think there’s been a steady increase in the number of girls skateboarding even if the total number of skaters has decreased? Just based on what I’ve seen around the world, the number of girls skateboarding is definitely on the rise. Pre teens, teens, mature girls and even older moms are out there doing it. Girls of all ages are really enjoying skateboarding. They are also enjoying all the different forms of skateboarding from skating the parks, the streets and cruising on longboards as well. On my trip to Colorado for the Winter Dew Tour, I saw a girl traveling with a downhill skateboard set. A totally specialized low gravity deck about 34 “ long, 10” wide, with cut outs for the 72 mm wheels, etc. She had it attached to her backpack. As an old downhiller, I thought it was super cool to see. There is so much more support for the girls, which I believe is huge help in attracting girls to skateboarding. It’s a special time in skateboarding for girls, with all the new skate companies targeting the female market and special events out there giving opportunities to the girls, like the Vans Girls Combi Pool Classic and Exposure! Thanks to all the ladies over the years paving the way, making today’s atmosphere even possible! SF: I see so many skate parks opening up around the world – I think that’s a good sign for the future of skateboarding – do you? Yes, I do think it’s a good sign for the future of skateboarding. Internationally, skateparks have blown up in the past few years! I’m not sure of the number of parks around the world, but they are certain up from the number of skateparks, say 5 or 10 years ago. The biggest deal and change is that of number of parks are free and open to the public! Here in the United States, everything changed once the liability laws changed. We’re now in tune with the rest of the world and parks are everywhere. Parks breed new skaters and maintain older skaters, which is why they are important! With parks opening up around the world, skateboarding’s future is secured. Similar to having basketball courts for soccer fields. SF: If you had one wish for skateboarding – mine is to see more girls of all ages & levels skateboarding for fun – what would your wish be? I like that! I also feel your wish is already coming true, just based what I’ve seen in recent years for the number of girls now skating around the world. My one wish for skateboarding would be that we weren’t so fragmented as an industry and dare I say as a sport? There are so many different aspects of skateboarding. Everyone is different and what attracts them. From kick flipping down a double stair to racing downhill at 50 miles an hour to skating backyard pools, cruising the beach or making the first 1440 on the mega ramp, it’s all skateboarding! I would just like to see everyone respect each other and their style of skating! Yeah, that’s my wish! That’s an awesome wish – what are your wishes for skateboarding? Please keep sharing your pictures – seeing is believing – & yes Jackalope’s must be real see above & below. Happy Easter!